QBE First is a national insurance provider and the subject of this QBE Health Insurance review. QBE First is a wholly owned subsidiary of QBE Group, one of the top 25 insurers in the world. QBE Group is based in Australia and employs more than 13,000 people in 49 countries. QBE First is an independently operated subsidiary and part of the parent company’s QBE Americas division. Whether you’re looking for a new policy or you’re just curious, health insurance rates online are available by entering your zip code below. QBE Group made its debut in the United States in 1991. Setting up offices in New York City, QBE Americas set about bringing its parent company’s services to North America. Unfortunately, the only type of health insurance QBE First offers is a program for their own employees. The products they sell to their customers include portfolio insurance and homeowners insurance. Additional services include escrow account management and property tax products. QBE First employees who wish to take advantage of their company’s health insurance benefits packages have several options. For standard medical coverage, they offer two programs that are considered comprehensive medical with prescription drugs included. The first choice is a preferred provider organization (PPO) plan, which has employees receiving their medical care from doctors and medical institutions that belong to the network. The second option is to choose a standard plan with the combination of a high deductible and an attached health savings account (HSA). QBE First also provides dental and vision coverage as well. Their dental plan is comprehensive in nature and encourages preventive dental care. Their vision plan offers eye exams, discounts on glasses and contact lenses, and dependent coverage – all at a considerably low cost. The company includes dental and vision insurance as part of their health insurance benefits package. Employees have the option of opting in or out these two plans. QBE First offers its products and services through local agents, just like many other insurance providers, but they do so in a very unique way. To their agents and they offer two different business plans they call the Turnkey model and the Products Provider model. The latter is common in the insurance industry, allowing independent agents to solicit customers on their own, offering them QBE products alongside other insurance providers they might represent. The Turnkey model, however, is the unique one. In this business model, independent agencies provide a client list to QBE First who then uses its own professional agents to solicit those customers with their products. This business model has its advantages and disadvantages for the agent. The main advantage is that the agent’s customers are given yet another option to choose from without any increased effort required on the agency’s part. The biggest disadvantage is that the financial reward for the agent is considerably less. 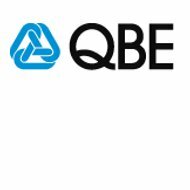 Finding a QBE First agent will require that you contact the company at their Georgia office. Many insurance companies provide agent locator tool on their website; QBE First does not. However, the website does say that they have thousands of agents scattered across the country. They also have a handful of regional offices in strategic locations that could be useful to you. All this information is contained on the company website. QBE First prides itself on its claims service to the extent that they refer to it as Claims Management. Adopting this name demonstrates the company’s commitment to helping avoid disasters as much as pay claims when they do strike. Their website includes a handful of preparedness tools to help their customers get ready when known threats are seen in the distance. For example, the company will send out hurricane alerts to homeowners’ insurance customers who might be in the path of an oncoming storm. As for claims themselves, the company offers several ways to make a claim 24/7. You can call their claims center using a toll-free number listed on your policy documents or their website. You can also create an online account, which allows you to file claims via the Internet. Finally, you have the option of directly contacting the local agent. Use our search tool to find health insurance quotes from America’s top providers. They are illegally charging me a $206 fee for a binder when I have insurance. Per FL Code 4-167-009 they shouldn’t force people to buy more insurance than a person’s insurance company states is the estimated rebuild with replacement cost. Their first letter to me questioning my insurance rate was Feb. 6th, yet they placed additional insurance on my policy January 20th. Don’t trust this company! I have spent hours on the phone. One person says it will be fixed, and then it never is. This company works for Seterus Loans. Stay away from both.